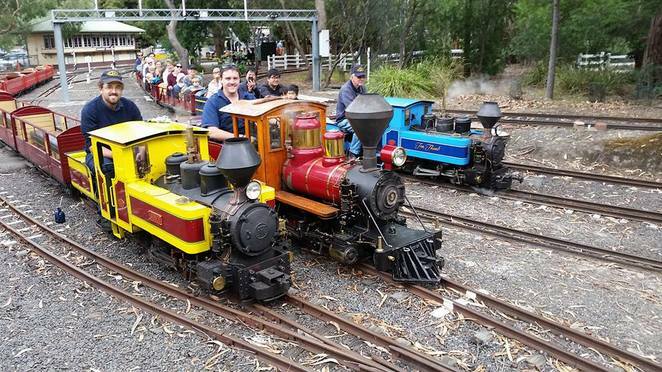 The Diamond Valley Railway (known to locals as the Eltham Miniature Railway, or simply 'The Tiny Train') is one of the best and most affordable activities for families in Melbourne. The ride is far more complex and interesting than simply chuffing around in a circle. The ride, which does not just one but two rounds of the 2-kilometre track, involves bridges, tunnels, hills, crossings, signals, switches, crossings and stations. The track runs through shady native bushland, making it even more relaxing and appealing. The trains are replicas of engines and carriages from around the world. Most are petrol/diesel but there are some steam engines also. You sit astride a padded central plank. It's not luxury but it's comfortable enough. Smaller kids can sit right in front of you so you can hold them and easily chat throughout the ride. 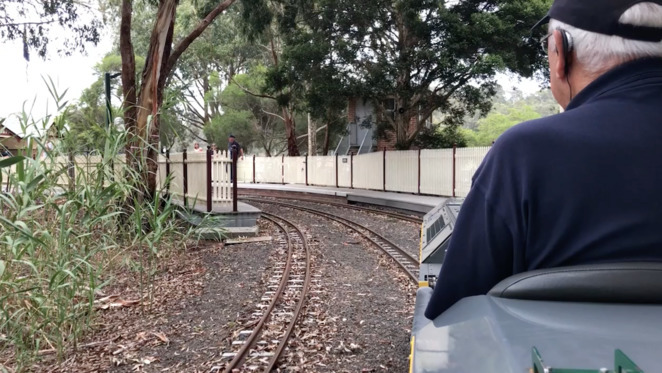 I've ridden the train with a bub in a sling, and whilst 7-months pregnant (though I admit I left it to my mum to accompany my daughter one time when I was already past my due date with my second child!). Queues can be long but don't be deterred. 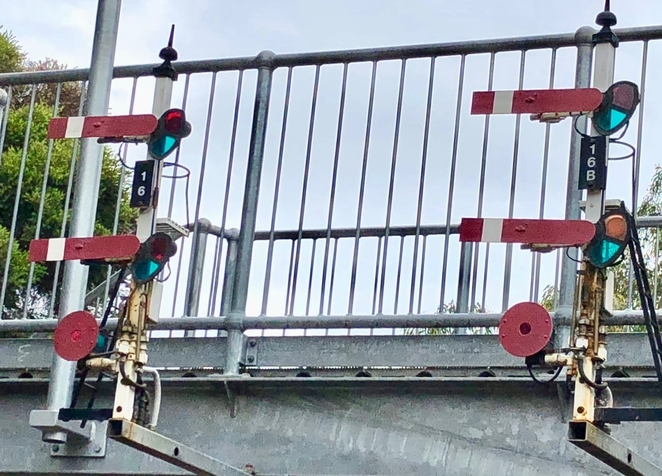 Our public transport system could learn a lot from this railway - the queues move quickly and they put on extra trains in super busy times. If you are short of time, aim to get there before the 11am (Sundays only) starting time. 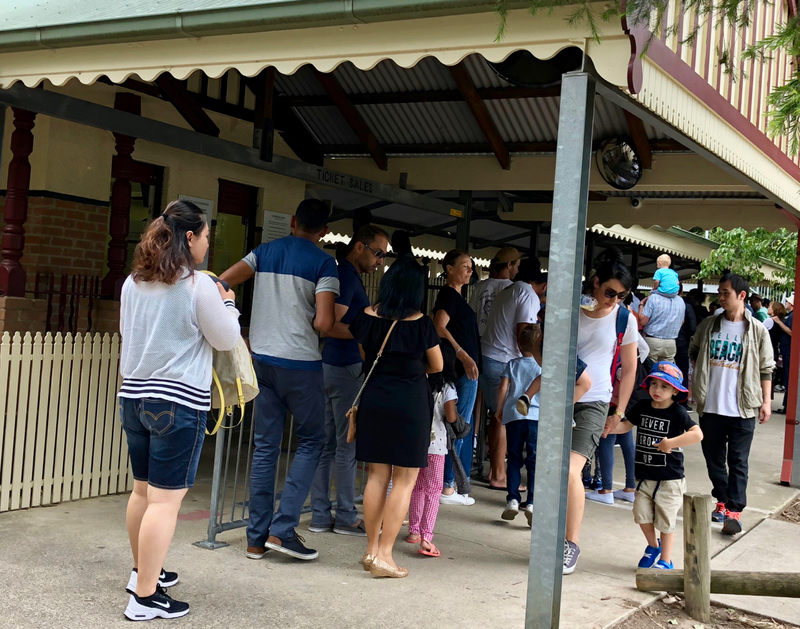 Finding a car park can also be a challenge - this is a great spot (if you have more than one adult) to people off to buy tickets and join the queue while the driver finds a park. Two playground options: there is an older style one to the right of the overall park entrance and a newer one - the Eltham Copper Butterfly playground, located just past the railway - this is a fenced park with water play features and lots of native plants. Walks: you can walk around the park (see lower part of this map) or head further to the nearby Wingrove Park (see the route here). Picnic: there are picnic tables in each of the park areas, but be warned that they are often snaffled early by children's parties. Or, bring a picnic rug and set up under the shade of a tree either in a park area or on the edges of the oval. Or, simply ride the railway again! It is not uncommon to see people jump off the train and head straight back to the ticket window for a second ride! Coming into the station - toot toot! Great photos and I agree this is a terrific adventure for kids of all ages.